If you choose to make payment using your Credit Card or Debit Card (Chip and Pin type) you will be redirected to a secure payment gateway operated by PayFast using the same security as you would expect when logging on to your own internet banking. MyPartySupplies does not keep any of your credit card details on record! Using PayFast to pay with your MASTERCARD or VISA Credit Card or Debit Card (Chip and Pin Type). PayFast is a payments processing service for South Africans and South African websites. PayFast enables easy, secure and instant transfer of money between online buyers and sellers. PayFast processes credit cards (Visa and MasterCard), Instant EFT (bank transfers to any of SA's four biggest banks that get instantly verified) and Ukash. 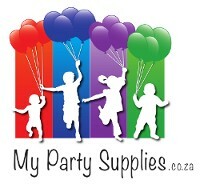 With PayFast, you can make secure and instant online payments to MyPartySupplies for your goods! PayFast is committed to keeping you and your information secure. PayFast has a multitude of checks in place to protect both buyers and sellers from fraudulent transactions. PayFast use Extended Validation SSL with 256-bit encryption. Only two of the four major South African banks use this, the highest, level of encryption currently available. All sensitive info is encrypted within PayFast's own database. PayFast runs penetration testing on their system on a weekly basis to look for vulnerabilities. PayFast are only required to do it once every three months, but run it every week. PayFast's entire site, blog and help site are served off secure servers, making it harder to perpetrate phishing attacks. PayFast also have an excellent monitoring system that does, among other things: GEO IP tracking, velocity testing, BIN/IIN validation and checks against online databases. Please refer to The Company's Terms and Conditions of Use as the information above is provided for information purposes only and is extraced from the PayFast website as amended from time to time.